We've been preparing for the release of the Watch Face SDK for Android Wear for a while, and were able to move fast when it was finally released. As a result, we've created a collection of watch faces based on some of our most popular products, and are hoping folks enjoy them! This was a fairly extensive undertaking that required a fair amount of infrastructure work, so we're offering these as separate products currently, and all are up on Play now. They require your Wear device to be using Android 5.0 or better, which is currently rolling out to devices and should (theoretically!) be on everything over the next week or so. Meanwhile folks can grab them if they want, or wait and see once the devices are ready. 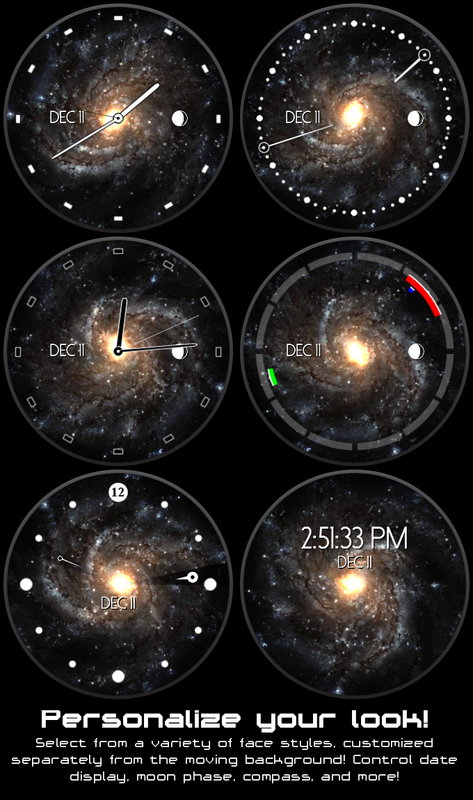 The approach we took to adapting our wallpapers was to build a collection of watch faces that can work over a variety of backgrounds, all of which fully support low power mode and other features of Wear. The user can pick from these faces, enable features like whether there's a second hand, whether they see moon phase or a compass, and what font they prefer. All the faces work on both square and round screens, with different tick mark art where viable. This is all in addition to the scene underneath the watch face, which still preserves (nearly) all the same settings and configuration. Visually they maintain all the same features and animation as well. 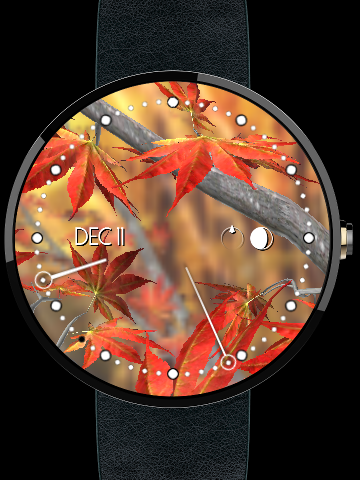 Our hope is that folks like this idea, and that we can add additional watch face styles to the list as time goes on. We're really excited to hear if folks like the approach we've taken and would want more.